September 22, 2018 | Did the Korean War End This Week? 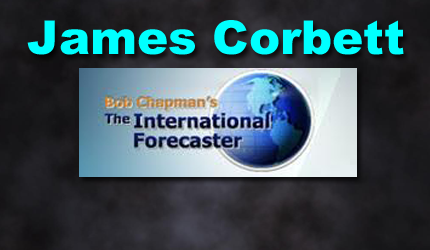 James Corbett is an editorial writer for The International Forecaster, the bi-weekly e-newsletter created by the late Bob Chapman. So the Korean war ended this week. Or so you would believe if you scanned the headlines of the British tabloids. “North and South Korea have finally ended the Korean War after 65 years!” blares The Mirror. And reading from the article: North Korea’s willingness to abolish its missile facilities and close its main nuclear complex has been hailed as the end of the Korean War. A spokesperson said: “Leaders of the South and the North have in fact announced the end of the war on the Korean Peninsula by their agreements.” Well, will you look at that! Who woulda thunk it? As everyone knows, the Korean War didn’t really end in 1953. Instead, that’s when the US (representing United Nations Command) co-signed an armistice with North Korea and China to bring about the formal ceasefire that has held ever since. So it’s pretty amazing that the war officially ended this week, isn’t it? One of the first steps Mr. Kim wants to take before moving toward denuclearization, Mr. Moon said, is to secure a joint statement declaring an end to the 1950-53 Korean War, which was halted only with an armistice. Oh, I see. So The Mirror headline and report is purposefully muddying the waters with blatant misinformation. This is the dinosaur fake news mainstream establishment lapdog clickbait media in a nutshell, folks. Don’t believe a word they write. That being said, the fact that (according to President Moon), both South and North Korea are ready and willing to issue a joint statement declaring an end to the war is a significant development. Assuming it’s allowed to go ahead. Which, of course, it won’t be. As the NY Times report goes on to make clear, the offer is a fake and meaningless political platitude which, even so, is not under serious consideration. American and South Korean analysts express fear that such a declaration would give Mr. Kim reason to demand that the United States withdraw its 28,500 troops from the South while North Korea is still a nuclear-armed state. But Mr. Moon said it would be merely a “political statement,” and that it would not affect the status of American troops in South Korea or his country’s alliance with the United States. This is the ground truth of the Korean war: It’s not over because no one really wants the war to end. As we know, governments love to control their population with threats and nightmares, real or imagined, and the mere perception that North and South Korea are still at war (however ludicrous that might be 65 years after the last shot was fired) is valuable to all of the players in this game. The Korean “war” permits the Americans to maintain boots on the ground in East Asia. It gives China another pretense for its own militarization of the region. It has allowed the North Koreans to completely cut its population off from the outside world. And it has written a blank cheque for the South Korean government to maintain varying degrees of martial law over its citizens (and even its own politicians). So the idea that a peace deal is just around the corner is, frankly, preposterous. At this point, it isn’t even on the table. As Professor Michel Chossudovsky—who has been covering this issue extensively for many years—notes in his writings on these latest talks, no peace deal will be possible unless and until the agreement putting South Korean military forces under the direct control of the Pentagon “in times of war” are annulled. This agreement gives a Pentagon-appointed military general “OPCON,” or “operational control” over the South Korean-US Combined Forces Command during crisis situations and has been a significant point of contention for many decades. In effect, it allows the US to take the Korean peninsula to the brink of war with near impunity because, as the old adage has it, Uncle Sam is willing to fight North Korea to the last South Korean. As Chossudovsky stresses: We are dealing with a diabolical military agenda formulated in Washington: The US seeks under the Combined Forces Command to mobilize the forces of South Korea against the Korean Nation. If a war were to be carried out by the US, all ROK forces under US command would be used against the Korean people. The annulment of the CDC is therefore crucial. A prerequisite to the implementation of the April 27 agreement is that the ROK government of president Moon Jae-in have full jurisdiction over its armed forces. The legal formulation of this bilateral entente is crucial. The bilateral arrangement would in effect bypass Washington’s refusal. It would establish the basis of peace on the Korean peninsula, without foreign intervention, namely without Washington dictating its conditions. It would require as a second step (following the annulment of the Joint Forces command) the withdrawal of all US troops from the ROK. So to answer the titular question of this article: No, the Korean War is not over yet. A real, workable, viable peace treaty isn’t even on the table. And, sadly, given the repeated signs that the US is not negotiating in good faith, it seems exceedingly unlikely that we’ll see such a deal any time soon. Now, did somebody say WWII is about to end? Because I have some bad news for you . . .